Research shows that prolonged periods of inactivity, like sitting, decrease your body� s production of fat-burning enzymes. That effect can be reversed with frequent, short walk breaks. You might lose track of time but v� vofit knows. A red move bar appears on the display after 1 hour of inactivity and builds every 15 minutes. Just walk a couple of minutes to reset the move bar. 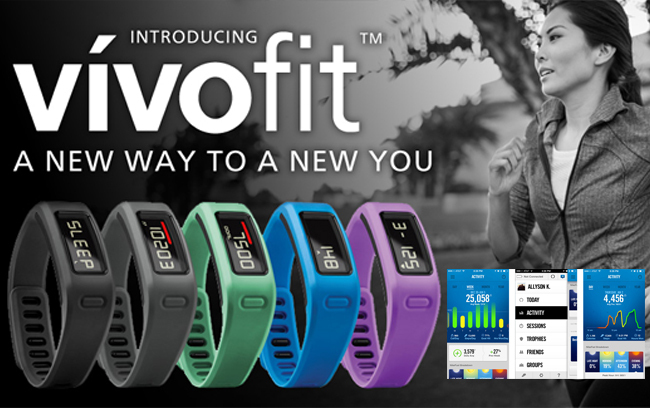 v� vofit follows your progress 24/ 7 and can stay on for more than a year without a battery change. Set the sleep mode when you go to bed and monitor your rest. On your Garmin Connect page, you can view your total sleep hours, as well as periods of movement and restful sleep. v� vofit has a water rating of 5 ATM ( 50 meters) 1, which means you can shower or swim, worry-free.